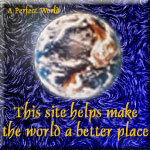 Your site, Assess Risk is A Perfect World Award winner! Linda Causey. Congratulations, Wendy! I am so honored to present you with this award... the "Amazing Site" Award. You have obviously worked very hard. I found that your site has good layout and designs, excellent content, and was easy to navigate. Thanks for making such a great place to visit! Keep it up! Thank you very much for your interest in "The ABBA Seal of Music Awards" and your recent application. Congratulations! Our evaluation panel has finished reviewing your site and we are happy to announce that you have won our "Bronze Award". It was a pleasure for us to visit your site. Very tidy and nicely designed. Hearty Congratulations! 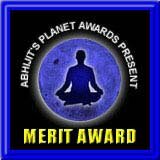 Abhijit's Planet Awards are given to those Web Sites which stand apart from others in terms of its structure and navigation, visual design, content, functionality, and interactivity. Your esteemed Web Site certainly obeys the above criteria. Thank you for giving us an opportunity to visit and evaluate your Web Site. We enjoyed it thoroughly. Good news Wendy, your website has won the Seventh Alcazaren Gold Award. The content, design and navigation of the Assess Risk page has been evaluated with very high scoring. The Health and Safety information is concise and complete in all areas. The site design is delicate with an appropriate use of white space. The adherence to the W3C Recommendations and Accessibility standards is welcomed. Congratulations for this nice and useful website. Award listed in alphabetical order.